Eurocom announces an addition to its already extensive line of multi vendor upgradeable VGA solutions in its flagship model, the EUROCOM Panther 2.0 with the introduction of NVIDIA’s new GeForce GTX 485M MXM 3.0b based graphics modules. The addition of the newest NVIDIA GeForce GTX 485M gives Eurocom customers an even greater choice of GPU’s to power the Panther 2.0 with a graphics card to fit every performance level. Eurocom will be supporting the GTX 485M in single and SLI configurations which will allow customers to intelligently scale graphics performance. The NVIDIA Geforce GTX 485M will be utilizing 40 nm technology along with all other 400 series NVIDIA GPUs. Eurocom currently supports NVIDIA GeForce and Quadro as well as ATI Mobility Radeon and AMD Radeon in its notebooks in single and Dual (SLI or CrossFireX) operation. Eurocom is the world’s leading developer of desktop replacement and mobile workstation technology. Eurocom began with the goal of creating the most advanced computer systems and using advanced engineering techniques typically unseen in the computer industry. The company has produced many firsts and continues to engineer well-balanced machines and VGA solutions that inspire and enable individuals to reach great possibilities. 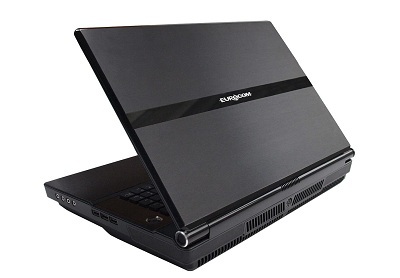 For more information on Eurocom or to customize a machine, visit EUROCOM.